Both Motorola and Microsoft are members of the standard setting organisations Institute of Electrical and Electronics Engineers ("IEEE") and the International Telecommunication Union ("ITU"). Motorola owns numerous patents that are essential to the IEEE 802.11 wireless local area network ("WLAN") Standard ("802.11 Standard") and the ITU H.264 advanced video coding technology standard ("H.264 Standard"). The Patent Holder will grant [or is prepared to grant] a license under reasonable rates to an unrestricted number of applicants on a worldwide, non-discriminatory basis with reasonable terms and conditions to comply with the [Proposed] IEEE Standard. Similar letters were issued to ITU in connection with the H.264 Standard. Microsoft makes use these standards in some of its products, notably the XBox. On October 21 and 29, 2010 Motorola sent letters to Microsoft offering to license its standards-essential patents (SEP) for the 802.11 Standard and H.264 Standard. The offer asked for a 2.25% royalty rate on the price of all end products Microsoft sold utilizing the technologies protected by these patents. Microsoft regarded these terms as blatantly unreasonable and responded by filing a breach of contract case against Motorola in the Western District Court of Washington, claiming that Motorola had violated its agreement with the IEEE and ITU to provide reasonable and non-discriminatory terms of licensing to all potential licensees on a global scale. During the pending US litigation, Motorola sued Microsoft in Germany for infringement of two of its SEP, EP 0 538 667 and EP 0 615 384. This was a grave problem for Microsoft, because its European distribution center was located in Germany, and a German injunction would have prevented distribution in the whole of Europe. In anticipation of the German injunction, Microsoft moved its distribution center to the Netherlands, at the cost of approximately USD 11.5 million. On 2 May 2012, the Landgericht Mannheim granted the injunction. Shortly before, Microsoft had requested, and obtained, a temporary restraining order and preliminary injunction from the US District Court to enjoin Motorola from enforcing any German injunctive relief it might obtain. Subsequently the District Court, and the 9th Circuit Court on appeal, held that Motorola’s letters of assurance constituted a contract with the standard setting organizations that barred Motorola from seeking injunctive relief based on its standard essential patents. Microsoft was a third party beneficiary entitled to rely on these contracts (Microsoft Corp. v Motorola, Inc.,Motorola Mobility, Inc., and Gen. Instrument Corp, 696 F.3d 872 ). Microsoft sought damages in connection with Motorola’s German injunction (which was never enforced), notably the cost for the relocation of its distribution center (USD 11.5 million) and attorney fees (USD 3 million). 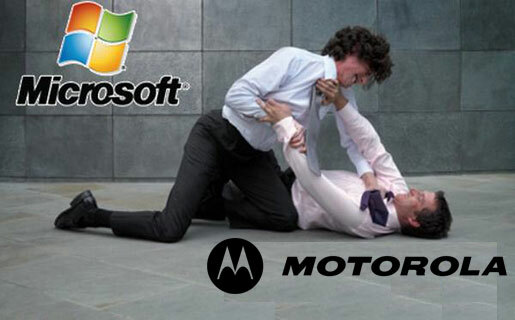 After a jury trial, the jury found that Motorola had indeed breached its contractual obligations and Microsoft was entitled to damages in the amount of USD 14.5 million for its expenses in connection with the German injunction. In an opinion filed 30 July 2015, the 9th Circuit affirmed the decision. Notably, the 9th Circuit Court rejected Motorola’s reliance on the Noerr-Pennington doctrine, which shields individuals from, inter alia, liability for engaging in litigation. The Court held that the doctrine does not immunize a party from actions that amount to a breach of contract. Enforcing a contractual commitment to refrain from litigation does not violate the First Amendment. The Noerr-Pennington doctrine did not immunize Motorola from liability for breach of its promise not to seek injunctive relief. This decision comes on the heels of the European Commission finding Motorola abusing a dominant market position for failing to license its standard essential patents relating to the European Telecommunications Standardisation Institute's (ETSI) GPRS standard on RAND terms to Apple. On 29 April 2014, the Commission announced “that it was abusive for Motorola to both seek and enforce an injunction against Apple in Germany on the basis of an SEP which it had committed to license on FRAND terms and where Apple had agreed to take a licence and be bound by a determination of the FRAND royalties by the relevant German court. The Commission also found it anticompetitive that Motorola insisted, under the threat of the enforcement of an injunction, that Apple give up its rights to challenge the validity or infringement by Apple's mobile devices of Motorola SEP.” The Commission did not, however, impose a fine on Motorola. "This was a grave problem for Microsoft, because its European distribution center was located in Germany, and a German injunction would have prevented distribution in the whole of Europe. In anticipation of the German injunction, Microsoft moved its distribution center to the Netherlands, at the cost of approximately USD 11.5 million." I wonder if this really was the reason for the move, not tax or other reasons? Surely most distribution of Microsoft products is by internet download anyway, so what is the distribution center? Is it a data center? I note that Samsung, which has real physical products to ship, appears to have weathered the Apple litigation without moving its distribution center. from what I understand, one of the infringing products was the XBox, which is a physical product. I would assume that the US court would not have accepted costs of USD 11.5 million for the move of the distribution center if it was just a server for downloading software.